Thailands Floating Cinema was a fleeting spectacle that gave new meaning to the term “going out” to the movies. 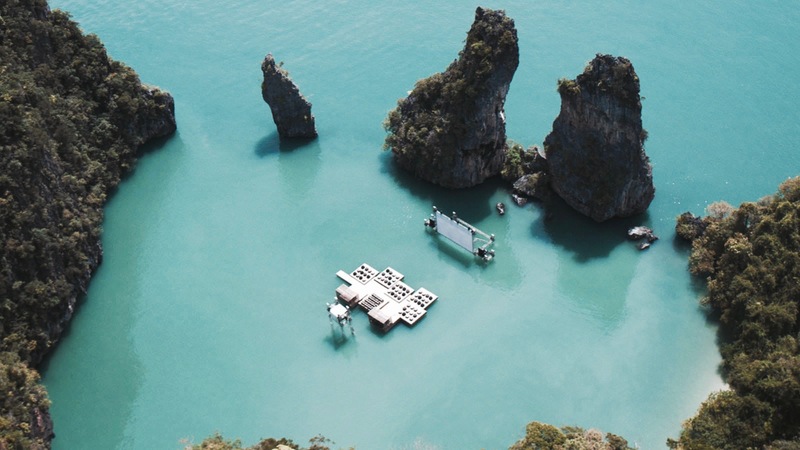 The world is no stranger to the Outdoor Cinema, but what if the world was floating somewhere in the middle of a tranquil lagoon, idly rocking back and forth with the tide while viewing a quaint screen floating on the horizon in front of them? 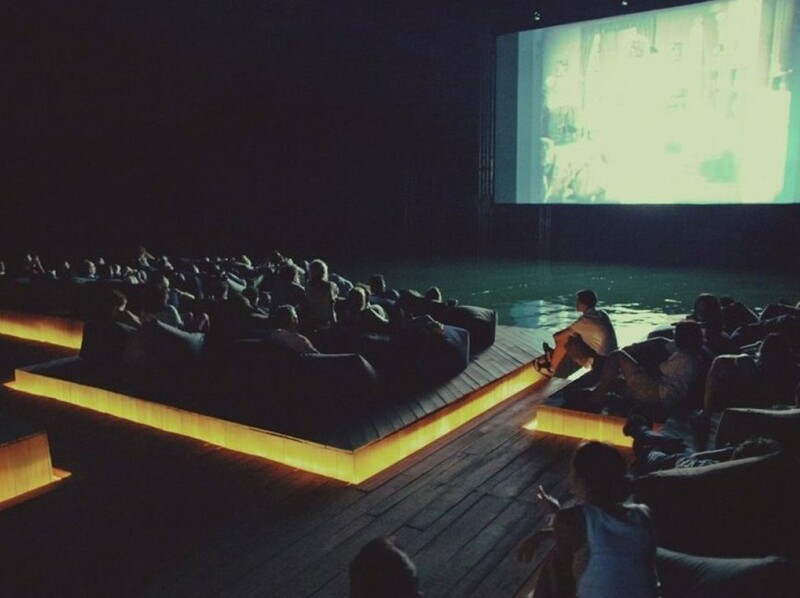 This was reality in March 2012, when the quintessential outdoor cinema catapulted from its humble, grounded origins and re-imagined into the clear blue waters of Nai Pi Lae Lagoon on Kuda Island for the last night of the Rocks Nao Yoi Festival. How Was Thailands Floating Cinema Constructed? The project adopted traditional Thai building practices, gleaning techniques used by local fishermen to construct floating lobster farms. The cinema was crafted out of recycled materials and buoyant pockets of wood bound together with mosquito nets. There is hope that the no-longer-functioning marvel will reappear as a cinema once again at some stage, but for now, parts of it sit as a floating playground for the children of the Yao Noi community.